Good post Roger! It always amazes me (though I guess it should not) when I see 401k plans that are just no good. It’s important to offer that flexibility and choice of some solid low fee funds. One thing I would add is the rebalance feature. My wife’s former employer worked out a deal where they only offered quarterly rebalancing. They charged a fee to boot, we asked them if they would consider negotiating it to a semi-annual/annual option and they were unwilling to. So, we had to do it manually every six months. John thanks for your comment. I honestly have never heard of an instance where employees where charged for auto-rebalancing of their retirement plan. I’d be curious as to who the plan provider was, just shaking my head. As to the number of lousy plans out there it is astounding. It was through Wells Fargo. The crazy thing is that her employer stated that it was the best deal that was offered to them. Suffice it to say, when she left the employer rolling it over was our first call. Thanks John, just shaking my head in disbelief and shock. I think you make a good point about investing in the 401(k) to at least get the company match. There are many other alternatives after you’ve received the match. Most 401(k) plans are so lousy and the small business owners are clueless about it. Roger, what are your thoughts on how to correct this problem? Oliver thanks for your comment. In many cases small business owners (and the owners of some larger companies) are too busy running their businesses and often don’t know the questions to ask or the differences in plan providers, platforms, advisors, etc. Most business owners that I’ve dealt with want to do the right thing for their empoloyees they just aren’t sure how to go about it. Too often the rep who handles their insurance, or worse yet their payroll provider will say “… hey we can solve your 401(k) issues…” and the employees are more often than not stuck in a high fee plan with average or worse investment choices. So with those problems highlighted, what are the solutions? How can thebusiness owners be made aware of the problems on a large scale? Oliver at some level the required fee disclosures that came on stream last year helped build awareness among many plan sponsors. At some point though there is only so much that can be done. Very good article. I believe part of the disconnect is that the H.R. people are not properly trained on yhe benefits and drawbacks that are inherant in there plan. They have no idea about Erisa and these hard working people are expected to explain why these recently hired people should be utilizing this plan. Thanks for the comment Gene, couldn’t agree more. Very good article Roger. I have this same type of discussion with current clients and prospects alike. I am amazed sometimes when I take a look at the existing plan for a prospect and I see the group annuity products out there. In just about every case, even with fee disclosure, the trustees and plan sponsors have no idea how much they are paying for their services. Although, having said that, when fee disclosure first starting getting discussed, I did see a drop in the fees that many of those organizations charge. It still is somewhat on the high side, but much lower than it was 10 years ago. I think the bigger problem is that the sponsors have no idea what the fees are. The plans that are difficult are the small plans ($500k and under in assets) and small company startups. They are almost always more expensive on a percentage basis because it’s difficult to get providers, especially advisors who work on a % of assets basis, to provide services. No one wants to work for free and shouldn’t have to. So the plan ends up with either a very high RIA fee, or they are in C shares and American Funds R1’s. I do think that the industry as a whole is getting a bad rap though in the press and from our friends in Washington. There are alot of bad plans out there, but the good ones are typically lumped together with the bad. Tim thanks for your comment. I totally agree with your comment on smaller plan it is difficult to find a good, low cost platform with a robust fund menu. I also agree that the many good, well-run plans out there are getting a bad rap which is too bad in that I have worked with many clients who have or are in the process of accumulating significant retirement nest-eggs via their 401(k) plans. I am also proud of the positive impact that I’ve had on the plans that I advise and I know that many advisor colleagues can say the same. While there are some good points to your article, it really sweeps with a very broad brush. There are cases where a platform like American Funds Recordkeeper Direct is an excellent option for a small employer. Yes, it is a proprietary fund line-up, but in truth they are a good investment manager in many areas, and offer funds at relatively low expenses. Additionally, the recordkeeping cost of this platform is fairly nominal for the small employer. I acknowledge that some of the providers you mention here can be quite costly to the employer on both small plans and larger ones, but we shouldn’t assume that all products from an insurance company are bad and unreasonably expensive. Great West is quite competitive with their Premier Key platform and offers open architecture (yes, with their Maxim target date or asset allocation funds). Not all small employers can write the check out of cash flow for plan services and in exchange get the stripped down pricing on fund expenses and recordkeeping. Some have to do it another way in order to offer the plan to their employees and be able to contribute the match on their behalf. Many points you make are valid, but we can’t paint with such a broad brush and assume that most plans are lousy and expensive and employers and participants are being cheated. James thank you for your comment. The article was meant mostly to provide readers (plan participants, plan sponsors, and others) with some potential red flags to prompt them to question the status quo. As with anything in the realm of retirement plans and investing asking questions is a good first step, however each individual situation is unique and requires a unique review. James, I agree with your points. My company is a “Third Party Administrator” for business retirement plans. All we do is administration, consulting and compliance with an objective of keeping our clients, the IRS and DOL happy. For lack of a better term, we “broker” around 20 different vendor relationships – Proprietary, Group Annuity, and Open Architecture. 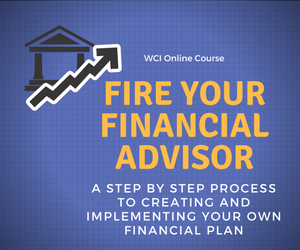 When presented with a business opportunity we look at the pricing and cost/benefits of each vendor and the needs and objectives of the financial advisor who is bringing us the business. The generalizations hold as much water as “all products made in xxxx are poorly made” or “all (members of a political party) are idiots”. Each vendor provides an important service to a particular segment of the retirement market. If they do a poor job, or are too costly, they’ll naturally fade away or be bought. Tom thanks for your comment. I’m assuming that you are not a “producing TPA” and I’m sure that your clients value your firm’s independence. As I mentioned in my comment to James the purpose of this post was to encourage participants and sponsors to raise questions. Nobody is saying that all vendors in the insurance sector or the brokerage sector are bad, but in my experience there are enough that are that participants and sponsors should ask questions. The 401(k) is for better or worse the primary retirement saving vehicle for a large percentage of the working population in this country. Having a plan with high cost, poor performing funds makes the hill to get to retirement just that much steeper. good article. i think one of the most important keys here is to monitor your return. no one cares more about your money than you. every 1% increase you can get on your return makes an exponential difference on the amount of money you will have. This is vital information. Sadly the day of the defined benefit plan is over so most of us no longer have retired benefit defined by salary and year of service. This is the biggest hoax laid on Americans. Defined contribution plans like 401(k), profit sharing and money purchase plans will not have enough in them for retirement in most cases. People have to know this and know that even putting the maximum into these plans is not enough. Your point about bad investments inside these plan are even more problematic in that in most cases nothing can really be done except complaining bitterly to HR. Load funds and those with high expense ratios are killers so that is just rubbing salt into the wound. Steven thanks for your comment. There are certainly a lot of lousy 401(k) plans out there which makes the task of saving for one’s own retirement even more difficult than it is. I do have to disagree, however that diligent and high levels of salary deferrals are not a key element in the formula to achieve a financially successful retirement. I have a number of clients for whom their 401(k) will provide a significant portion of what is/will be a comfortable retirement. I do agree that a defined contribution plan alone will likely not be enough to fund a comfortable retirement for most people. My beef is with the bad, high cost, low quality plans foisted on too many plan sponsors by commissioned reps and the fact that many plan sponsors don’t know what questions to ask of these reps. The good news is that the recent mandated disclosures seem to have made more plan sponsors question their providers and the plans that they are in. Additionally participant advice seems to have gained some traction in the market place. You are fortunate Harry, there are a lot of sub-par plans out there, it could well be a deal-breaker. I wonder how many employees thought def ben plans were a God given right and carped and complained about how lousy there were. Problem solved! There’s a reason they’re called BENEFITS rather than rights or entitlements or even requirements. People are free to look the company right in the eye and say “who needs your stinking 3% contribution? I’m just grateful that in spite of lawsuits and criticism that they’re not giving even more, that companies are still willing to provide this benefit when so many other companies no longer do. Debra thank you for your comment. I do agree that sometimes employees seem ungrateful for the benefit of having a 401(k) plan. However it generally doesn’t cost an employer any more to offer a low cost, high quality plan for their employees and in some cases might even be cheaper for them. The match of course is an out of pocket expense that an employer has weigh on a cost-benefit basis. In some cases where employees are in industries where the best workers are scarce or highly in demand the costs of offering a better match and a better plan may be far offset by benefit the benefit derives by having a plan that is an incentive to attract and retain these top employees. Very good article. However, I think “lousy” is a bit overstated if the plan only presented offerings from one, single fund family. But if I was in a plan which only offered index funds from each of the major asset classes, and if all of those funds were from a single fund family, I would not consider that plan to be lousy. David thanks for your comment. I would agree with you in certain cases assuming that the index funds offered are truly low cost funds. Just because it is an index fund doesn’t mean its cheap, the variation among families can be significant. That said in my experience most single family plans don’t offer only low cost index funds and in my opinion no single family has all top-notch funds in each asset class. Its really not that expensive for a plan sponsor to offer a plan with a mix of solid low cost index and active funds that provides a great retirement saving vehicle for their participants. Hi Roger, Yes, I completely agree, just because a fund is an index fund, does not mean that it is truly low cost. I should have been clearer in my comment. 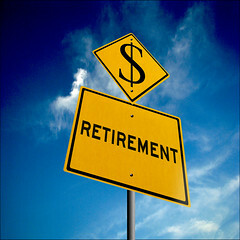 I am retiring finally in four months at age 65 and have always managed my 401k myself. When I and many others received early retirement lump sum payouts into our 401k (in my case age 52) there was a feeding frenzy of free dinner seminars from financial wanting us to roll over the 401k into an IRA with their company. My inclination is to keep it in the 401k which has been low cost and has improved the choices in the plan. Is there any advantage to an IRA? Thomas thank you for your comment and congratulations on your upcoming retirement. As far as the dinner seminars no surprise. My suggestion is if you like the restaurant then go for the food (just kidding). If your current employer’s 401(k) plan is low cost with solid investment choices then it can make sense to leave your account there. Some companies will move non-active employee accounts to another version of the plan or even to a special IRA so you will want to make sure that your money will stay in your account in it’s current format. Rolling to an IRA can make sense if you are comfortable selecting and managing your own investments or if you are working with a trusted financial advisor. An IRA can offer a broader array of investment options and may be lower cost than your 401(k). Additionally whether you roll over or don’t this is a good time to take stock of all old IRAs and retirement accounts and consolidate them where it makes sense. It sounds like you have done your homework here. If you’d like to discuss in greater detail please feel free to email me via the contact section of this site. Thanks for your comment Michael. Always a good idea to get the full company match, basically free money. I’ve not read the Tony Robbins book. We have a fidelity 401k at work and it seems like a pretty good plan that is alway getting better! But how do you really know for sure? Useful suggestions ! I Appreciate the information ! Does anyone know where my company could possibly get access to a fillable a form version to complete ? Thanks for the comment, I’m not sure that I understand your question however.